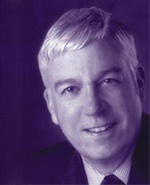 (1994-2009) A graduate of Stanford and the University of Toronto, Dr. Davenport was a professor of economics, associate dean of graduate studies and vice-principal of planning and computer services at McGill (1973-1989) before becoming president of the University of Alberta. Upon his arrival at Western in 1994, he initiated a strategic plan titled "Leadership in Learning" that promoted the idea of identifying the University's existing strengths and emerging areas of excellence, and then selectively providing them with the necessary resources to flourish. A follow-up plan, titled "Making Choices: Western's Commitments as a Research-Intensive University" was developed in 2001, and a subsequent plan titled "Engaging the Future" (2007) established Western's formal mission to "provide the best student experience among Canada's leading research-intensive universities." The veracity of the new mission statement was illustrated by the 11 consecutive years that Western ranked #1 in the country in the Globe & Mail's annual survey of student satisfaction. Under Davenport's leadership, Western also recruited many outstanding professors, witnessed significant increases in research activity, advanced community and alumni relations and increased average entering grades and first-choice student applications well above the average for Ontario universities. Renowned for his advocacy of the liberal arts, Davenport believes support by the general public and the government for university research is vital to the long-term success of a knowledge-based economy. In 2000, he played a leadership role in launching Campaign Western, a fundraising drive that surpassed its original $270-million goal and generated more than $327 million by May 2004 for a wide range of academic priorities. Davenport's contributions to higher education have been recognized through honorary degrees from the Universities of Alberta, Toronto and Moscow. He is also a Chevalier de la Légion d'Honneur, France's highest civilian honor, and an Officer of the Order of Canada.